There is a fortnight to go before Chinese New Year is upon us. We’re so excited for what 2019 brings us! 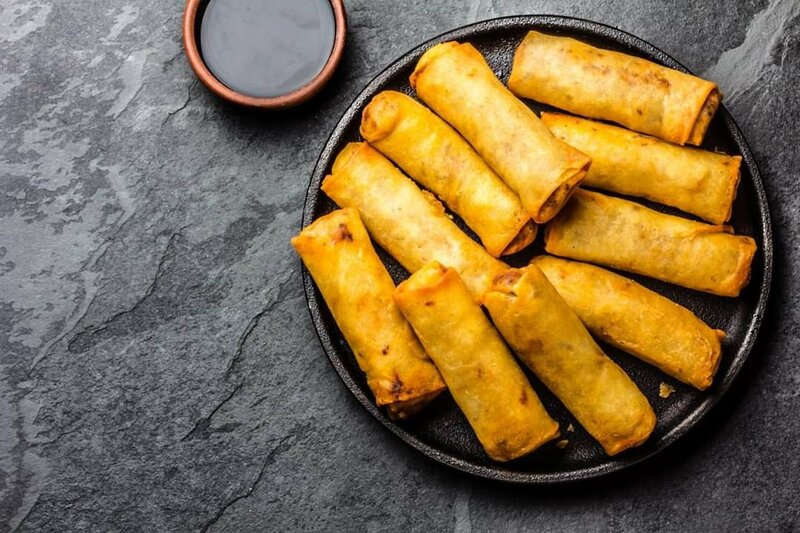 Spring rolls are the nation’s favourite dim sum, traditionally eaten during Chinese New Year celebrations because they resemble gold ingots – a symbol of wealth and power. One Chinese New Year, I remember Dad waving about ten of them in each hand – he’d definitely had too many beers – shouting, ‘I’m going to get rich this year! Look how many gold bars I’ve got.’ This was a time before there were such things as the lottery. We were laughing so hard we had tears running down our faces. Dad never got rich that year but our New Year celebrations certainly started with a bang. We wish you and your family much laughter, love and joy.